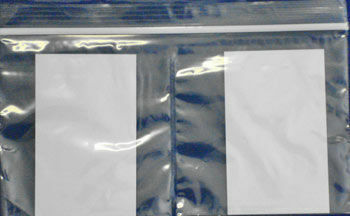 Zippit Optical Pouch is a 3-wall ziplock bag with a document pouch. It is available in 90mm W x 190mm L with the document pouch of 90mm x 160mm attached to the Zippit Bag. 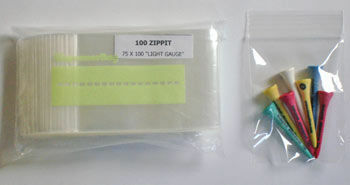 Zippit Two-compartment (centre divided) ziplock bag ideal for optometrists for dispensing lenses. Available in 188.5 mm L x 100.5mm H; packed in 100 bags in a soft dispenser bag.